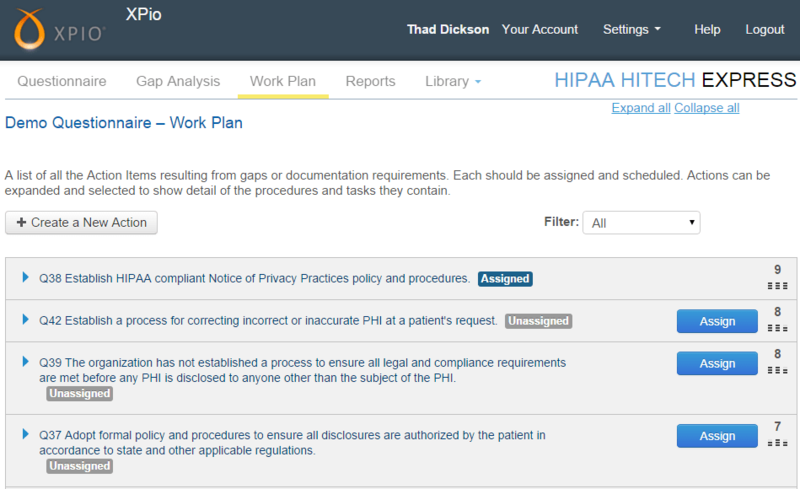 HIPAA requires covered entities and business associates to conduct an accurate and thorough assessment of the potential risks and vulnerabilities to the confidentiality, integrity, and availability of electronic protected health information held by the covered entity. According to HIMSS’ 2014 Security Survey, a security risk analysis is the best process for a healthcare organization to gain a complete understanding of its security profile—the threat environment, system vulnerabilities and overall risk exposure. When you attest for Stage 1 or 2, you are attesting to the fact that your practice is in compliance with this piece of the HIPAA Security Rule. In some states (Ohio) even just signing up for Meaningful Use will require that you affirm you are in compliance with all aspects of HIPAA. If you are subject to a meaningful use audit, you need to send a copy of your security risk analysis as part of the supporting documentation. 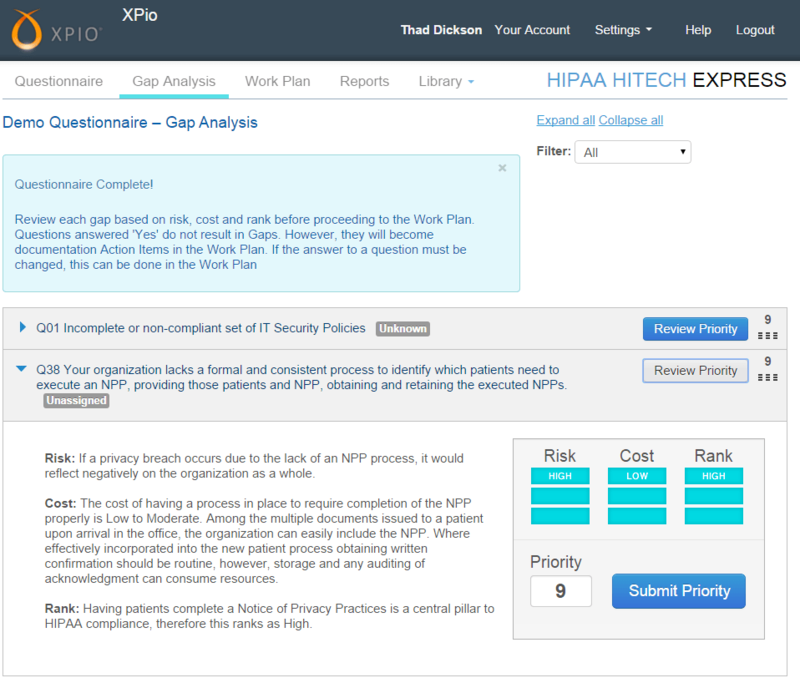 Not only is the absence of a security risk analysis the most common reason we see for failing a meaningful use audit, it also puts you in jeopardy with the Office of Civil Rights, the branch of Health and Human Services tasked with enforcing HIPAA. 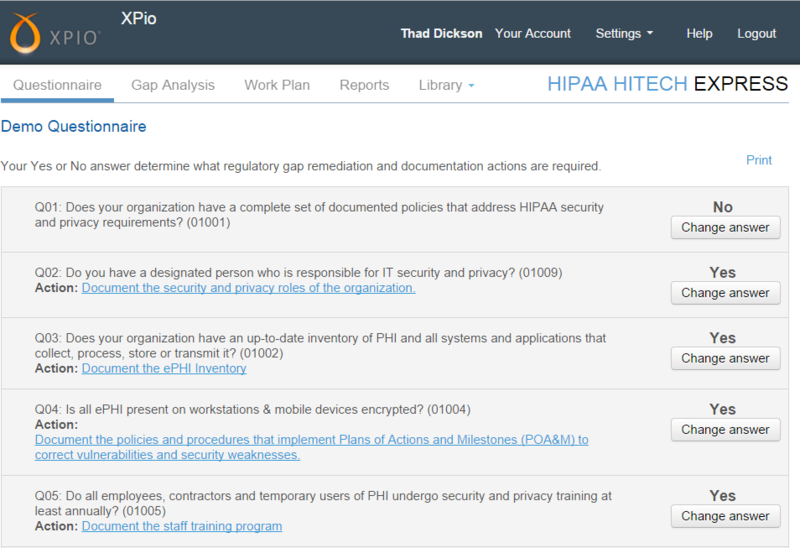 Xpio Health is an ISC2 certified HCISPP practitioner and has been performing HIPAA Risk Analysis, Policy and Procedure review and revision, PHI inventory, and assisting with Mobile Device best standards of practice, encryption and key management, and overall network security and integrity for many years. 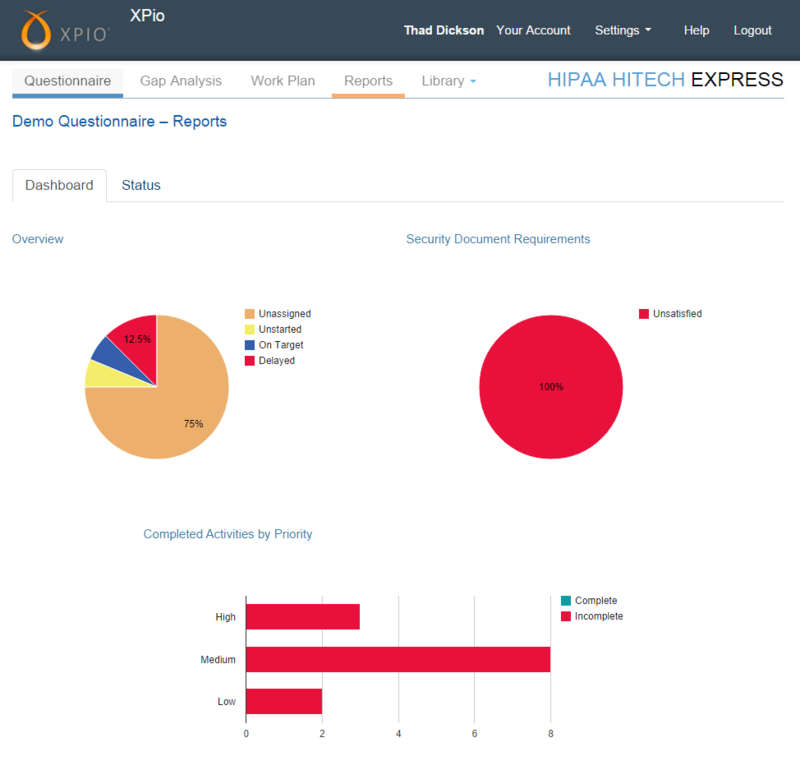 In 2014, Xpio Health teamed up with QIP Solutions and has been using HIPAA HITECH Express (HHE) product to compliment our Risk Analysis Process with very good results – including recently passing a Meaningful Use audit.